Sinus congestion occurs due to blocking of the nasal area, either through an illness, allergy or concomitant facial deformities. It is caused by the large amounts of swelling within the mucus membranes inside the nasal cavity. Not taking care of the symptoms may result in production of thick nasal mucus, but with a few remedies, it can be cured easily. One such wonder treatment involves different types of essential oils that provide symptomatic relief. Tea tree oil is extremely useful for removing nasal congestion owing to its amazing antimicrobial properties. Tea tree oil is most effective when added to water and used in a vaporizer. However, it must be used with caution as direct application may cause irritation to the skin and to the membranes of nose and throat. It helps soothe the nerves through its wonderful aroma and is generally the preferred natural remedy for all types of nasal problems, such as clogged nose and congestion. This essential oil is also helpful due to its antifungal and antibacterial properties. Just mix it up with a few carrier oils and you have a complete vapor rub remedy ready for use. Except from treating nasal inflammation, peppermint oil can also be used with eucalyptus oil as a more powerful remedy. It is also widely used to treat other problems such as severe headaches that generally accompany sinus congestion and it can be used as sedative in large doses as well. Lavender oil is one of the best essential oils for sinus due to its anti-inflammatory property. The lavender essential oil is especially good for clearing the nose and acts as a soothing and relaxing agent. One of the very pungent smelling oils, the oregano oil, is perfect for clearing the nasal cavity and getting rid of congestion. Its fungicidal, antibacterial and antiseptic properties help fight against sinus infections. It is best used with carrier oils. It also acts as a relaxant which helps in soothing your mind after use. Lemon oil is one of the essential oils for sinus that is also great for fighting against cold due to its anti-inflammatory and antiseptic ability. Apart from being a good cure for congestion, it also works well against bacterial infections by increasing white blood cell count in blood. However, lemon oil is phototoxic and should not be directly exposed to the sun. Rosemary oil is beneficial in providing protection against nasal infections and seasonal allergies. It is widely used in combination with eucalyptus and lemon oils for optimal effect. Rosemary also needs to be held with care since it may give problems to pregnant women and people with high blood pressure. The antiseptic thyme oil can also be used as an effective remedy against symptoms of common cold. This oil can be used in combination with lemon oil, tea tree oil and eucalyptus oil. Inhaling the fumes of this oil offers great help against congestion. Use thyme oil under precaution, however, as people with hypertension may experience breathing difficulties along with skin rash. One great trait of this essential oil is that it also helps relieve sore throat and clear the catarrh due to its antibacterial, expectorant and antiseptic properties. Chamomile essential oil is famous for its sedative and anti-allergic properties, which work well with its powerful antiseptic ability to fight various illnesses apart from common cold and nasal congestion. Make a solution with different types of essential oils and pour them into the Neti pot. The solution can be made with equal number of oil drops, along with warm distilled water and a few tablespoons of sea salt. Once completed, proceed to the nearby sink and tilt your head to one side. Slowly pour the mixture into the top nostril while breathing from the mouth. Repeat for the other nostril by turning over to other side. 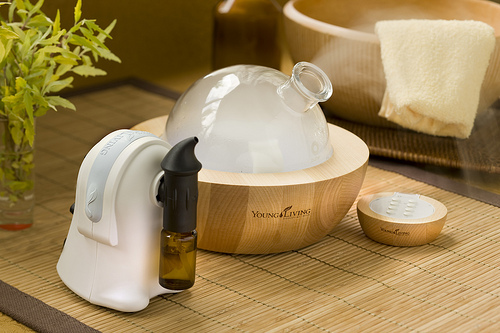 A diffuser can be used to disperse the essential oils in order for you to breathe in their fumes easily. You may use one essential oil, or a combination of several kinds. To create the mixture, use a few drops of essential oils with 1/2 cup water. Add a few drops of essential oils to about 3 inches of boiling water and stir. Inhale while covering your back of the head with a towel to avoid fumes from escaping. 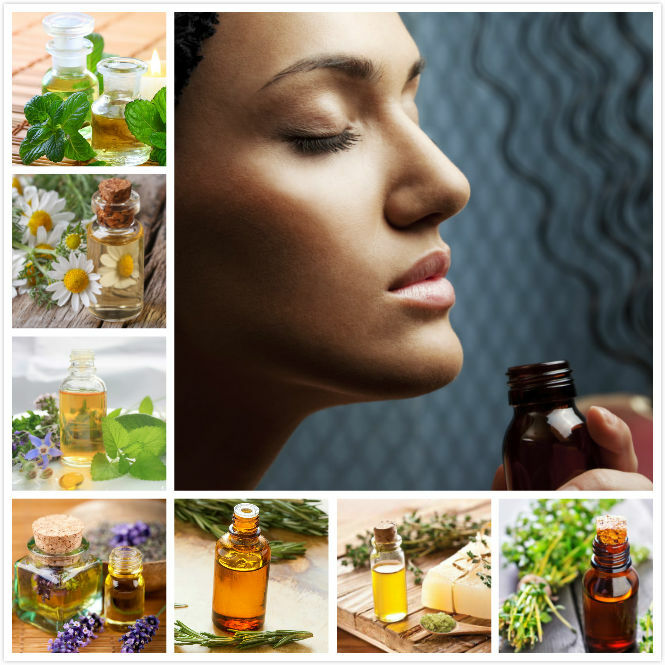 Essential oils can be directly rubbed on key parts of the body such as chest, jaws and under the chin to attain quick relief from nasal congestion. Except from essential oils for sinus, sinus infections can be relieved in many other ways. Here are several tips to decrease the symptoms and multiply the effect of the essential oils. Drink more water to loosen the nasal mucus. Have chicken stock or warm soup about 3 times each day. Eat horseradish with lemon for nasal relief. Drink ginger tea with honey twice a day.